South Carolina prosecutors seek Dylann Roof death penalty for church shooting. State prosecutors will seek the death penalty when Dylann Roof goes to trial for the racially-motivated shooting of nine people in a historically black church in Charleston, South Carolina in June, according to a court filing Thursday. 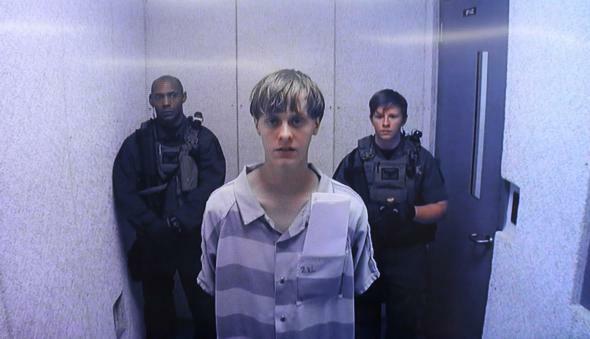 Roof has been charged with nine counts of murder and three of attempted murder. “Mr. Roof has been indicted twice for the killings, in state court and in federal court, and each of those cases carries a possible death sentence,” the New York Times notes. “The documents said state prosecutors would pursue the death penalty because more than two people were killed, and that others’ lives were put at risk.” The Justice Department has not yet decided on whether it will seek the death penalty for the alleged hate crimes. Prosecutor Scarlett Wilson said she conferred with the victims’ families before making the determination to seek the death penalty. Some relatives of the parishioners and ministers killed by Roof had expressed forgiveness in the immediate aftermath of the shooting, despite the 21-year-old’s racist, white-supremacist motivations. Wilson said some of the family members opposed the death penalty for religious reasons.